Eyeliners are probably invented for people like me who were born with small-looking eyes. After years of usage, I've probably mastered the different strokes of eye lining to change the shape of my eyes from time to time. 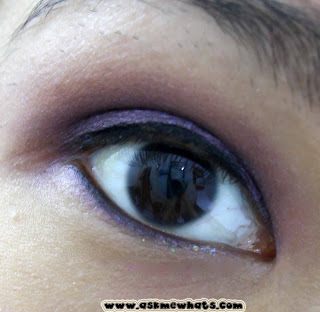 No wonder gel liners are close to my heart because they can withstand hot and humid weather like the Philippines. Let's not forget....I'm a crybaby! So the battle of gel liners (or other forms of eyeliners) will always be ON! Recently, I am trying out the most inexpensive gel liner that I own, local reader would know the brand for sure, it's from HBC under San San Cosmetics line. The pot is smaller than regular gel liners. 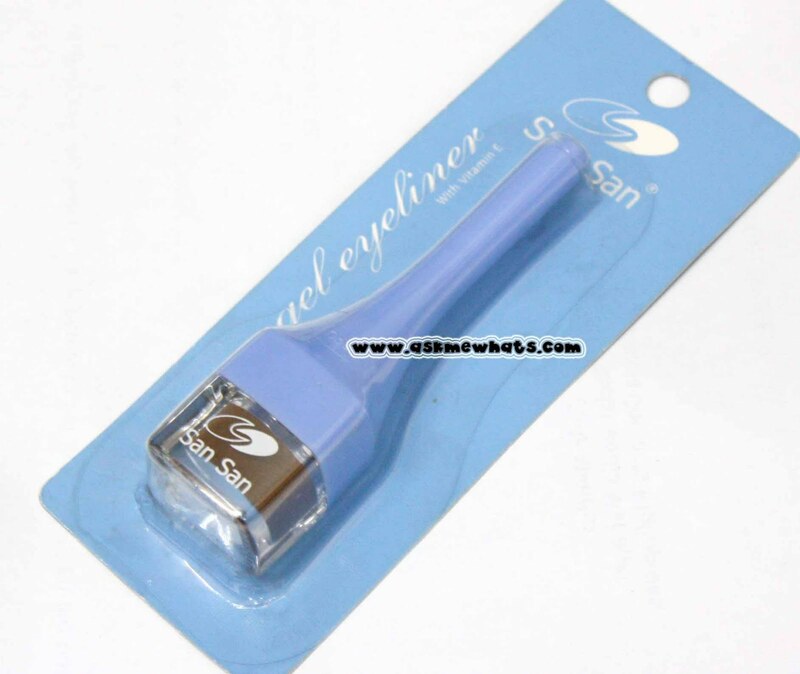 If you wonder why would a gel liner be packaged in such long handle? Pull out for a surprise! The San San Gel Eyeliner includes a free brush! Attach to the cap for easy handling! Now you've seen the "specs" of the exterior of the gel liner, let's move on to the real deal! Nothing much written on box. Super cute and innovative packaging! Well sealed upon purchase so you get them fresh from the manufacturer. I appreciate the tinier gel liner packaging as I could never finish up a gel liner without them drying up on me first. The free brush is actually good! 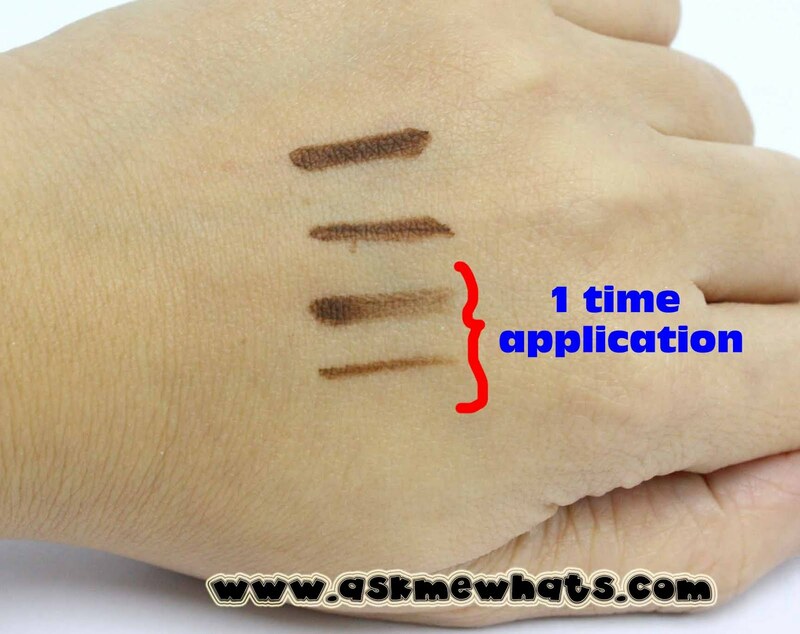 The shade is true brown, not reddish brown, but just plain, matte brown. 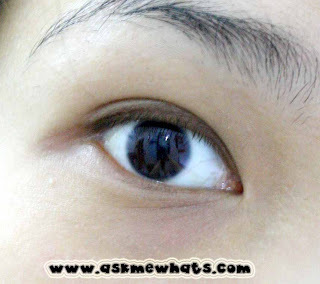 Since the shade is not as dark and "obvious" as regular gel liners, best used by newbies or first-time gel liner users. Non-smudging nor smearing. (though it tends to disappear rather than smudge, which I prefer). Can be used to apply both thin or thick line, can also double up as an eyeshadow base for smokey-eyes. Great to use on the lower lash line, shows up like a pencil liner. Very natural-looking. 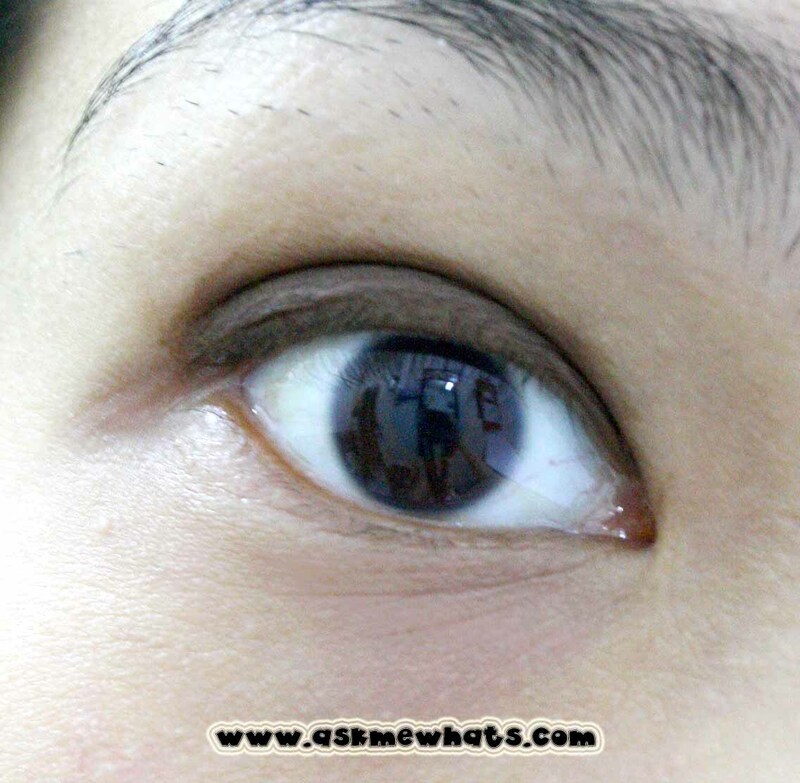 Can be easily removed by using regular eye make-up remover. Not as dark and pigmented as other gel liners. If you rub your eyes a lot, this gel liner tends to disappear in the middle of the day. Not as waxy or applies as smoothly as compared to other gel liners. I have to go through the area a couple of times to get the desired and consistent shade I want. The San San Gel Eyeliner's texture is that of a soft crayon. 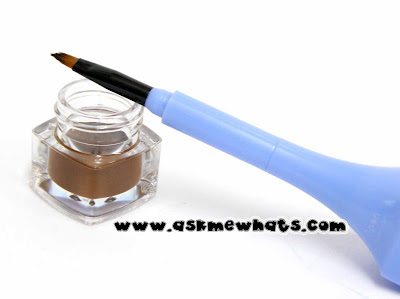 I find it very easy to apply on lids and it stays on the eyes longer than eyeliner pencils. Try to store it upside down so the oil underneath will transfer on the top portion to prevent it from further drying. 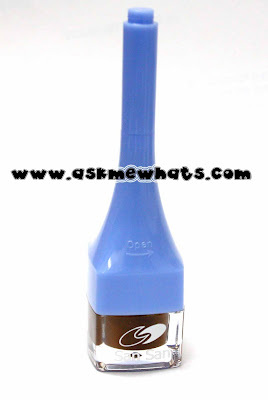 If you're not comfortable with the free brush, feel free to use your preferred gel liner brush. Wash the free brush before use. 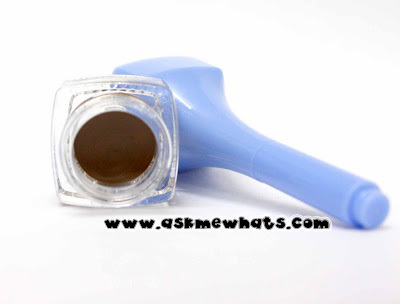 Wipe the brush every usage with a wet tissue or spritz it with make-up cleaner. Practice applying on both upper and lower lash line. One small stroke at a time. For super oily lids, use an oil-control primer prior to gel liner usage. For makeup artists out there: This is actually the best liner to use for mature clients, I find the regular gel liner to look too strong on mature makeup. Pencil liners are a bit too harsh on their lids, so this is perfect! 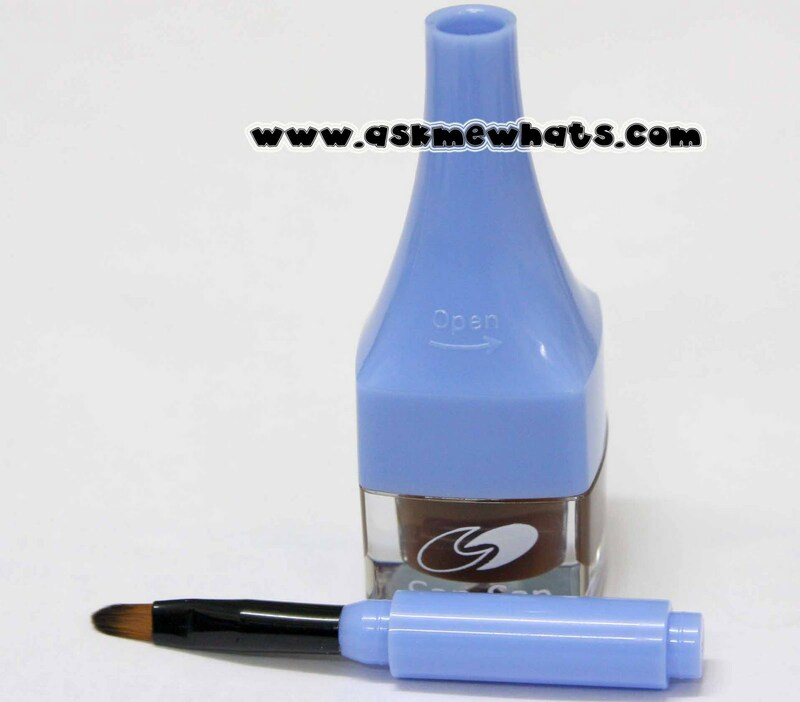 First time gel liner users or anyone who likes the natural look of an eyeliner pencil. Last 2 lines who that the gel liner is not waxy enough for it to glide from end to end. 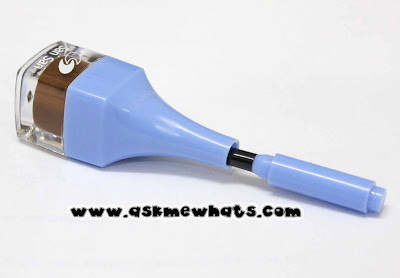 So far, I'm giving a thumbs up for San San Gel Eyeliner because it may have some cons but the inexpensive price tag makes it a "pro" as this can be easily bought by our hardworking consumers. 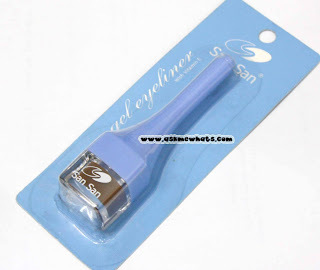 Have you tried San San Gel Eyeliner with Vitamin E? If not, what's your most inexpensive gel liner to date? The packaging for this liner is gorgeous! Love iiiiit! Great review and this liner looks great. I agree with Pammy, the packaging is really cute! I like the compact packaging, and that it comes with a brush! Too bad it's not pigmented enough. nice review!!! i've tried sansan's blush when i was still in phil. @rasilla Now you got me intrigued, what brand is it do you still remember? @EveryDay Makeup blog I agree with both you and Pammy too on the gorgeous packaging! The free brush is so cute! @Photoescape Naku, they have a lot of makeup na sis! @Jess What's your favorite San San Product? naaliw ako sa packaging - innovative and space saving!